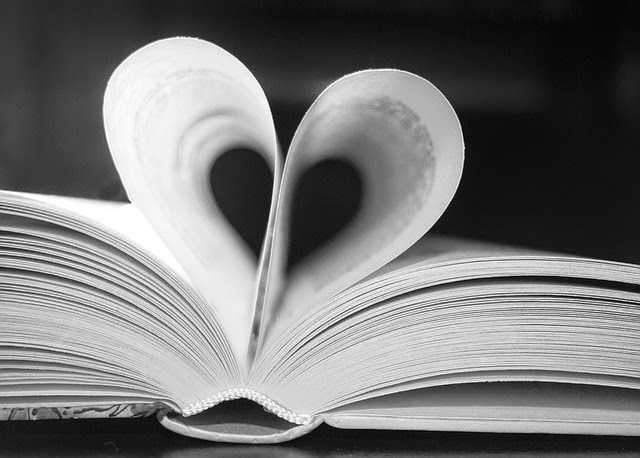 Adventures In Storytime (and Beyond): Don't Share Your Germs! Now that we are between holidays and already into cold and flu season, I decided this was a good time to talk to the kids about germs, and how to keep from spreading them so that they don't get themselves, their family, friends, or Miss Jennifer sick! We began storytime with our usual welcome song, and introduced the topic of germs. I was a little surprised that several were already familiar with the word and knew it was what makes us sick. We talked a little about how they are everywhere, but they are so tiny we can't even see them. 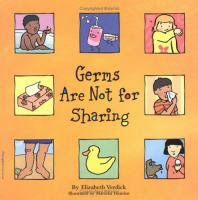 After we sang our story song, we read our first book, Germs Are Not For Sharing by Elizabeth Verdick and Marieka Heinlen. This is a great non-fiction picture book that works well for storytime. The text is short and simple, and the illustrations are high-contrast, so it is not as dry and boring as some non-fiction. 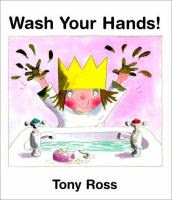 This book explains what germs are, how they are spread, and what to do to prevent spreading them in clear, simple terms, and it also shows children of various ethnicities. It also mentions singing the "ABC's" to time handwashing, so we paused and practiced that. There are many other books in this series that address other issues, like hitting, kicking, biting, hurtful words, and another one that would go well with this theme, Noses Are Not For Picking. After that we did a fun flannel activity about hand-washing to get rid of germs, based on one from Library Quine using free clipart as a pattern for the hand. Of course, since I have a master's degree in microbiology I had to take it a step further and instead of generic "blob" -looking germs, I made mine somewhat representative of actual germs, though obviously not to scale. And of course they had to have faces and googly-eyes even though real germs don't, because, well, just because! First we talked about the hands, how one was a grown-up and one was a kid, and how one was palm-up and the other was the back of the hand (and yes, I realize it would have been better to have varied skin tones, but unfortunately we were all out of varied shades of brown. I will make additional hands in different tones as soon as I get more felt!) I told them in generic terms what each germ caused (cold, flu, stomach ache, rash, fever, etc.) and talked about where they hide as I placed them on the hands, then we did the rhyme. Hiding on your palms (point), where they cannot be seen (shake head). As we say the rhyme, I remove the germs that are located in the corresponding place. The kids love pointing out that the hands aren't really clean until all the germs are gone. Next we read Wash Your Hands! by Tony Ross, which at first glance you might think is a non-fiction book, but it actually does have a story featuring a fun-loving Princess who just wants a piece of cake. But everyone keeps taking it away and telling her to wash her hands (because she's been playing in the mud, with the dogs, using the potty, etc.) first. She doesn't understand why she has to wash her hands again and again, until her maid explains about the germs that live in the "dirties and nasties" that could make her sick. After washing her hands one last time and before she finally eats the cake, she asks the maid if she has washed her hands. 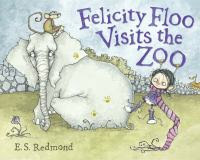 I decided to proceed straight to the last book, Felicity Floo Visits The Zoo by E. S. Redmond, and save our activity for the end. All of the animals in the zoo are sick, but the staff has no idea why. The story then unfolds of a little girl who visits the zoo even though she's sick. She wipes her nose with her hand, then proceeds to touch many animals and surfaces in the zoo, spreading her germs everywhere. This is made obvious to the kids as a series of yucky green handprints all over everything. I again reminded them about using tissues, washing hands, and keeping hands away from faces. Then we did a fun, and only slightly messy, activity that really helps demonstrate to the kids how easily germs are spread. I put some colored glitter (I only had blue, but a mixture of colors could represent different types of germs) in a paper plate, then pressed my hand into it. I then showed the kids how there were "germs" all over my hand now. Then I shook hands with a few of the kids, and had them shake hands with other kids, and so on, until almost everyone had germs! I asked the kids to think about what would happen if they picked up food with those hands, or if they touched their faces or eyes. They all realized glitter would get in their foods, then in their stomachs, and in their eyes and faces. I reminded them that is exactly what happens with germs; we just can't see them. Then we all washed our hands really well. I've also heard of this activity done with chalk or flour, and there is a special spray you can buy that glows under black light. Depending on your setting and time frame, instead of having kids shake hands, you could just let it spread naturally over a longer period of time. Another activity is to put confetti inside a balloon and pop it to simulate how a sneeze or cough spreads germs. Ironically, I came down with a nasty head cold just a couple of days before, so my voice and hearing were not in the greatest shape, which made wrangling 14 three-year olds a little more difficult. I could not speak very loudly, my voice was terribly hoarse and kept cracking, and I could not sing at all. I guess I was a little too late with my message of not sharing your germs with Miss Jennifer! I think it went pretty well, considering how difficult it was for me to talk. If my voice had been normal, I don't think I would have had any trouble keeping them engaged. It was nice to actually use my degree for a change! I really hope to have the opportunity to do some serious science programs with slightly older kids in the future. Remember, share your toys, not your germs!